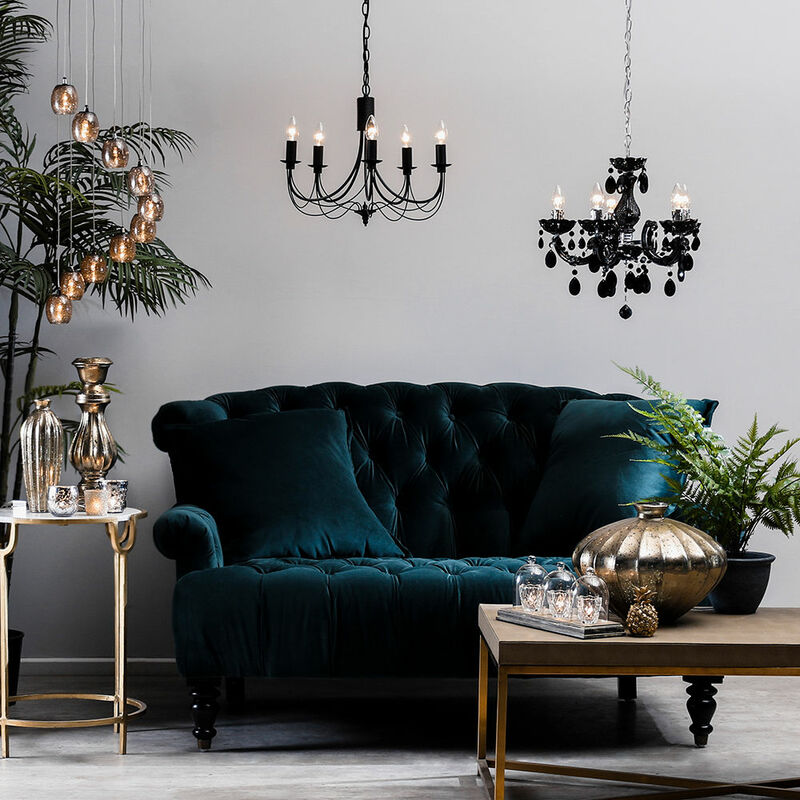 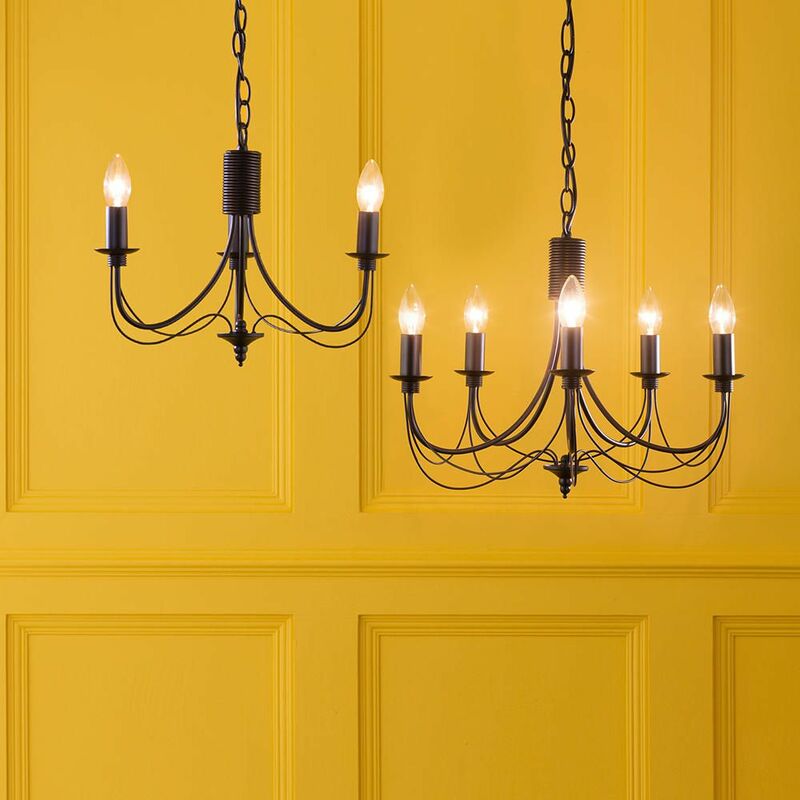 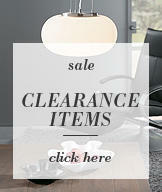 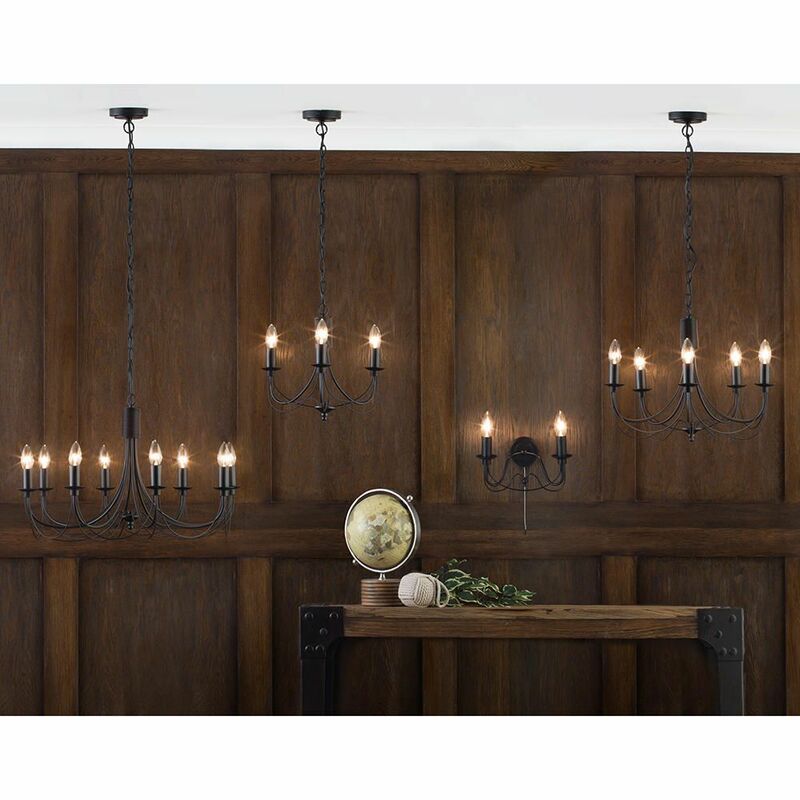 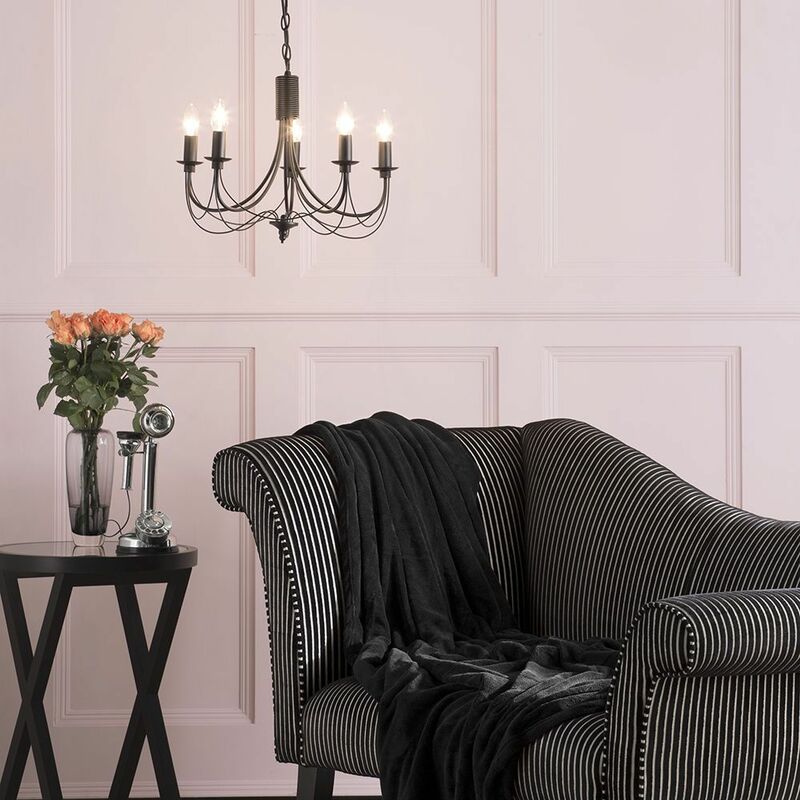 Create a stunning centre piece with the Somerset 5 light chandelier from Litecraft. 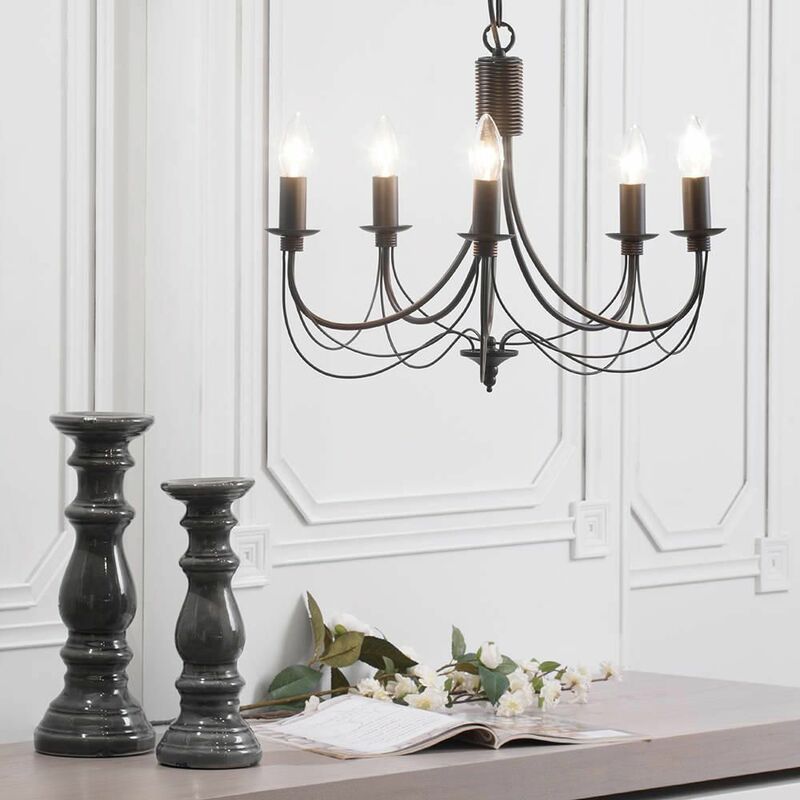 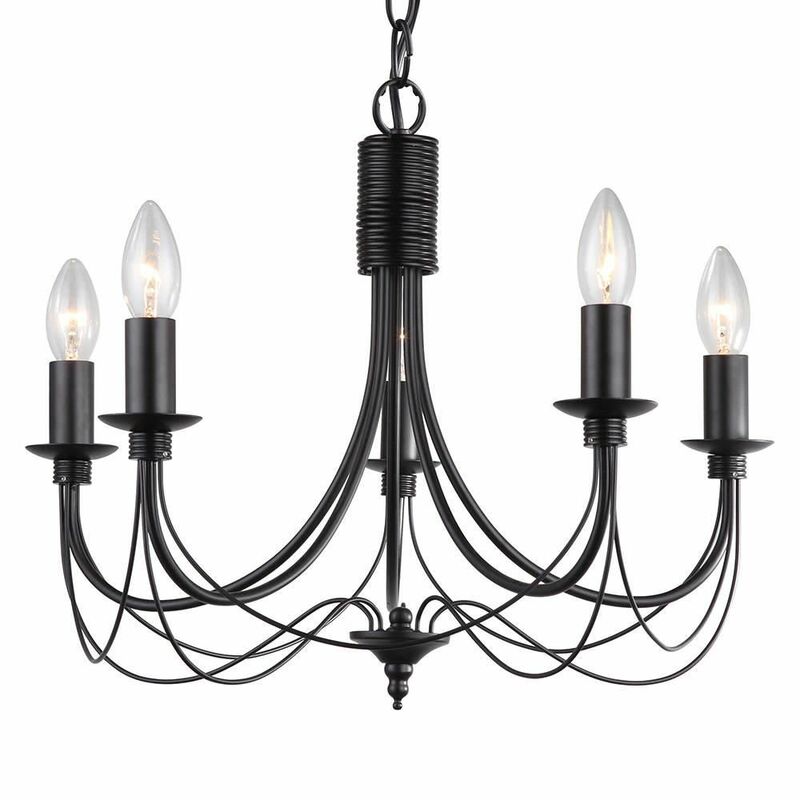 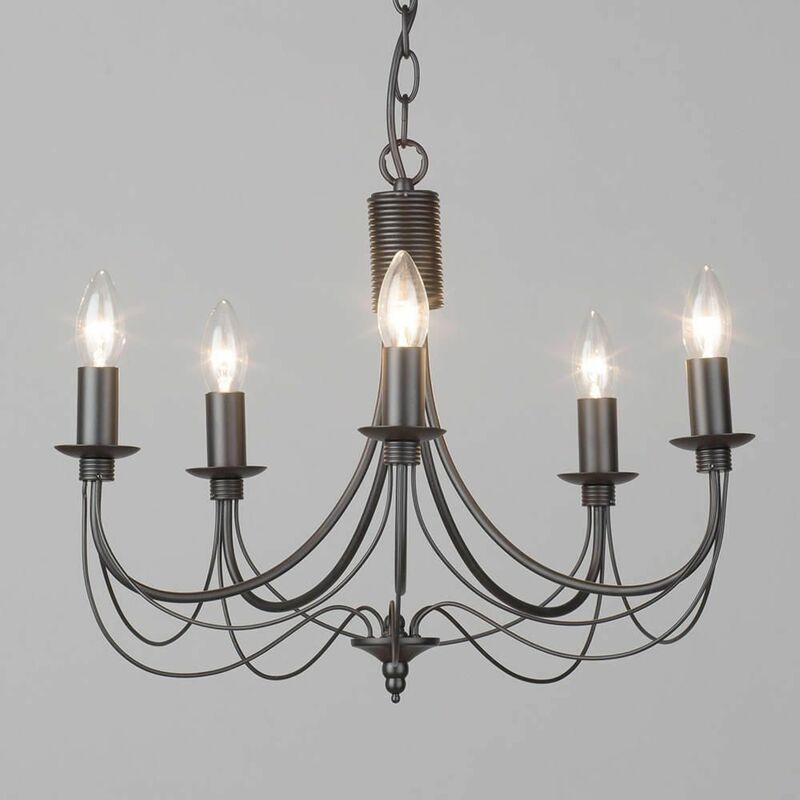 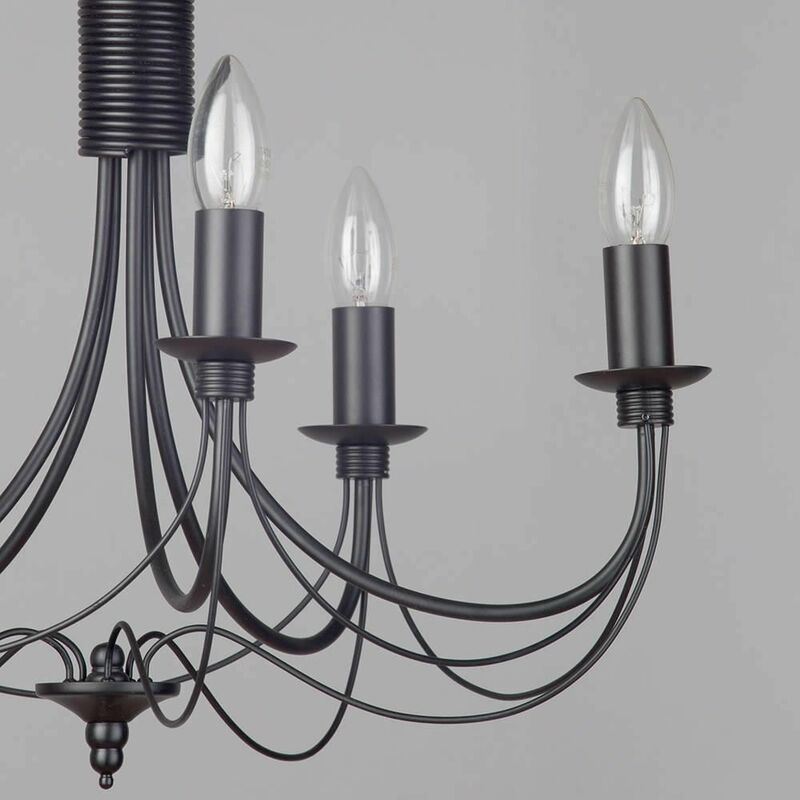 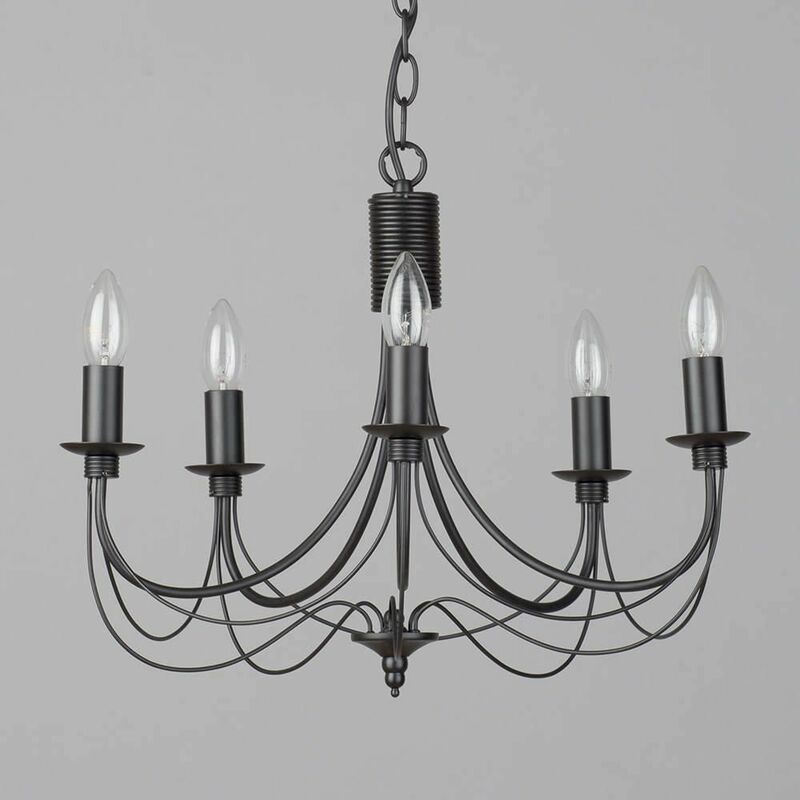 It features 5 light curved arms with candle bulb holders and elegant metalwork detail. 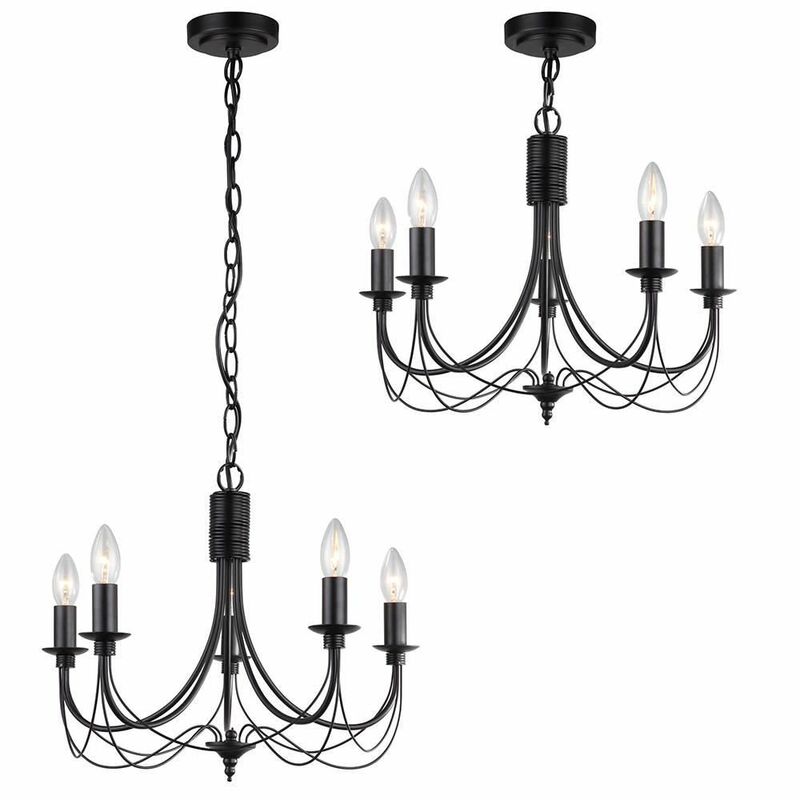 Finished in black metal, it has a classic look that complements both modern and traditional decor.